Senior Research Fellow of the National Institute for Defense Studies (NIDS), Ministry of Defense, Japan. His research interests are mainly Russian security policy and international history in East Asia. 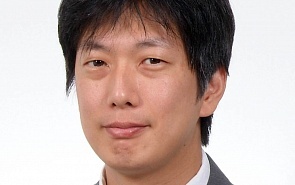 His works include “The Prospects and Limits of the Russia-China Partnership,” RUFS Briefing (Swedish Defense Research Agency), No.32 (2015); “Three Level Factors of the Conflict in Eastern Ukraine”, NIDS Briefing Memo (2015); “Russian advance to the East in the middle of 19th century” in Takashi Okamoto ed., Suzerainty and World History (2014); and “International Conventional Weapons Market and Russia” (2014). He obtained an MA in Russian Studies from School of Slavonic and East European Studies, University College London in 2005, and a Ph.D in Human and Environmental Studies from Kyoto University in 2008. Efforts for the optimum balance of dialogue and pressure raise the probability to convince Kim Jong-un that his tangible steps will be necessary in the talks to avoid unfavorable consequences for his regime, Hiroshi Yamazoe writes. After the year of a perceived imminent crisis over the Korean Peninsula in 2017, the year 2018 so far has been witnessing signs of reduced tensions. While dialogues are positive steps towards a more stable order in the Peninsula, prospects are unclear and cautious preparation is still necessary to avoid disastrous consequences. ﻿﻿Before his visit to Korea, it was a matter of discussion whether Donald Trump would make inflammatory remarks in the Demilitarized Zone (DMZ) of Korea, and thus provoke dangerous reactions from Pyongyang. But that did not happen. What happened was the US top leader’s confirmation to commit to security in Northeast Asia in a stable manner.